The weather is sublime: The Valley averages about 16 inches of rainfall per year and during the winter and spring the hills and pastures turn a rich green. Springtime brings fields of lupine and poppies. During summer, afternoon breezes from the Pacific Ocean moderate the temperatures. 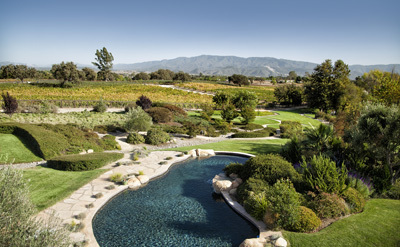 It is the combination of cool nights and mornings with warm days that has made Santa Ynez an ideal and unique climate for growing premium wine grapes. There are quaint townships that offer fine dining, cafes and wine tasting. 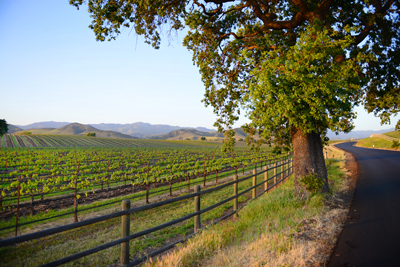 This classic example of early California landscape of ranches, vineyards and graceful lifestyle has been well protected -- successfully integrating the preservation of the natural beauty with carefully measured growth. The Valley is also one of the regions last great equestrian areas, with all disciplines and dozens of breeds represented. 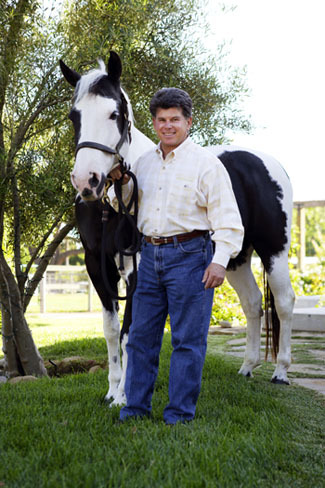 World-class, state-of-the-art veterinary facilities and top veterinary care are centrally located. 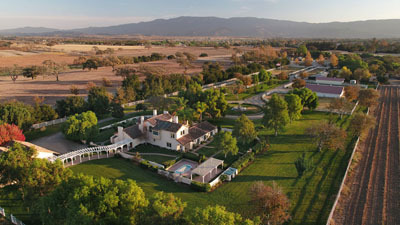 Compared to Santa Barbara and Montecito the Santa Ynez Valley area offers tremendous real estate value. 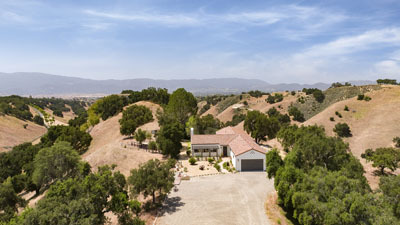 The 106 +/- acre “Figueroa Farms” transports you to a Mediterranean countryside surrounded by rolling golden hills, orchards of olive trees, and vineyards as far as the eye can see. 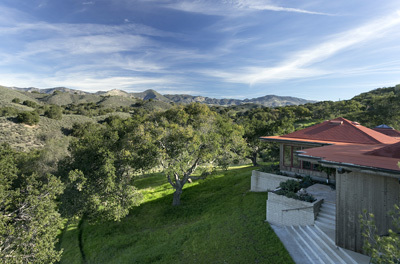 Son Sereno ~ Elegant and Secluded 116 Acre Contemporary Estate with 2 parcels. 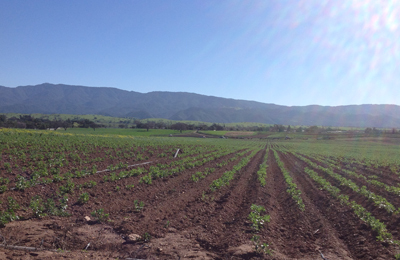 108+/- Acres in the Happy Canyon AVA with approximately 75 acres of Bordeaux & Rhone varietals. Wines produced from these vines have won acclaim from Wine Spectator & the James Beard Foundation, and many of the country’s finest restaurants have included Vogelzang wines on their lists. 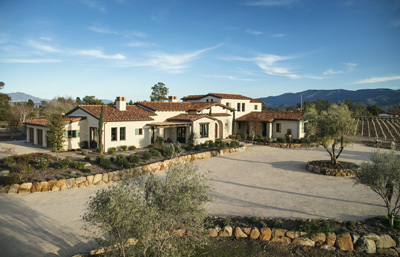 La Bella Vista is one of the foremost luxury properties in the heart of Santa Ynez Valley's Happy Canyon AVA. 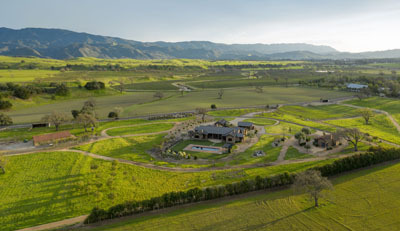 This exquisite estate is accessed by the private Rancho Ynecita gates and on past vineyards, grazing land, and the panorama of the Santa Ynez Mountains. Impressive sandstones property gates beckon you up the winding sandstone lined driveway which leads you to the hilltop compound. 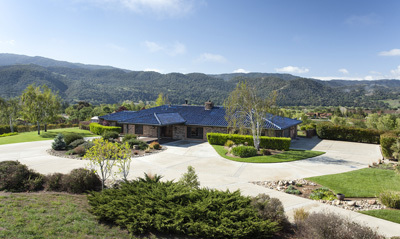 Sweet Song Ranch is an exquisite, contemporary ranch estate on 26+/- usable, flat acres with 360’ mountain views. 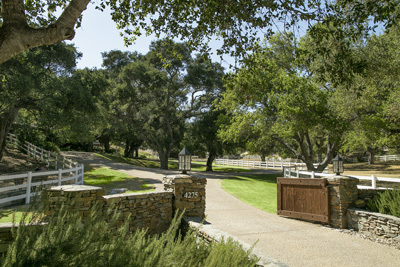 Private double entry gates introduce a meandering, pepper tree lined drive leading up to a sprawling compound retreat with a breathtaking mountain scape back drop. 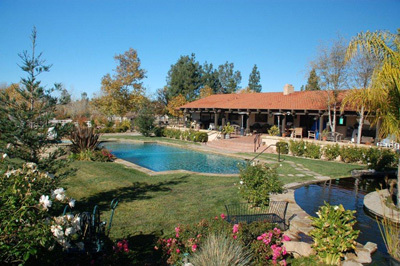 The property is loaded with features, including a barn, a guest house, a detached 4 car garage plus an arena and pastures; everything was done with uncompromising quality. 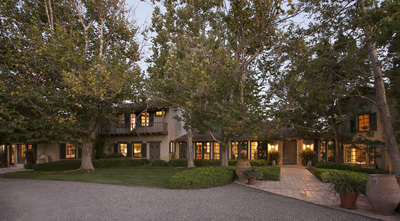 In addition, very few properties in Santa Ynez Valley front on the River; this is one of them! 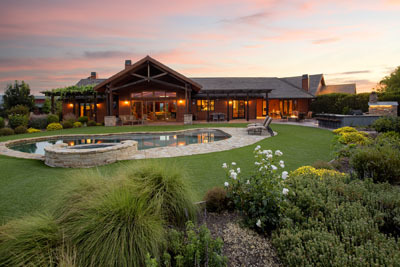 Wine country estate ideal for year around entertaining! 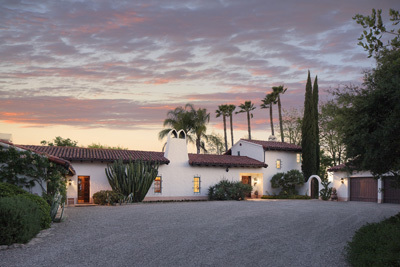 Custom Adobe Hacienda on pristine park-like grounds nestled between vineyards. A car collector’s dream with a 5,000 sf collector’s shop complete with 2 offices & a 1,500 sf storage barn. 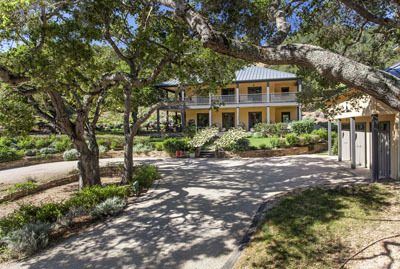 20+ acre Estate at the end of a private tree lined drive with commanding views of the Santa Ynez Valley. Open & bright floorplan, multiple entertaining spaces, gardens, pool, spa, tennis court, expansive lawns & more. 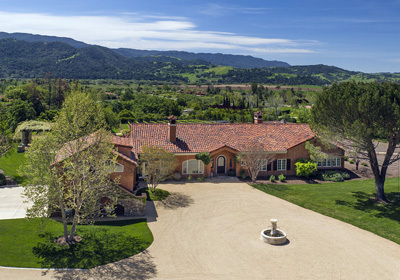 Situated in the prestigious Still Meadow enclave of the Santa Ynez Valley is one of the area’s finest and most impressive five+ acre estates. 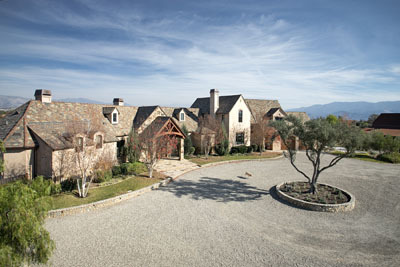 At the end of a private gated road is a 20+/- acre plantation-style retreat nestled among ancient oaks and vineyards. 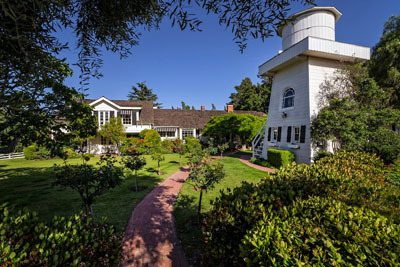 Fox Run Farm on Happy Canyon Road in Santa Ynez is an extraordinary 8+/- acre estate which could have jumped from the pages of a storybook. 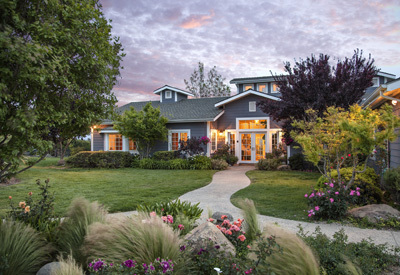 Grand iron entry gates open to a rose flanked driveway that winds past lush green pastures filled with grazing horses and leads to a to a 4 bedroom, 4 bath Mediterranean style home surrounded by verdant landscape and mature trees. Embraced by ancient oaks on an approx. 20-acre woodland savannah is a stunning country plantation estate. 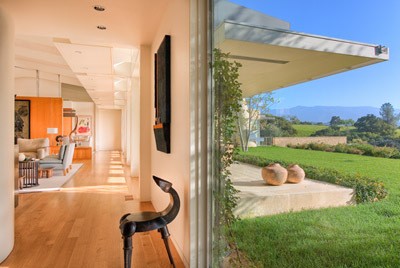 Two residences in Santa Barbara wine country with panoramic views. 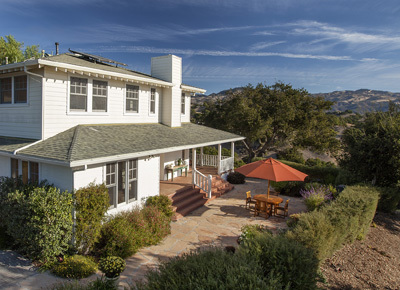 18+/- private and serene hilltop acres overlooking the Santa Ynez Valley with a 3 bedroom 2 ½ bath main house that has undergone an extensive renovation. 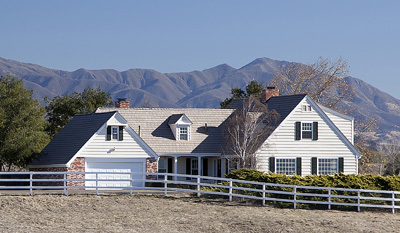 This property also includes a private 2nd residence with its own entrance off Long Valley Rd. 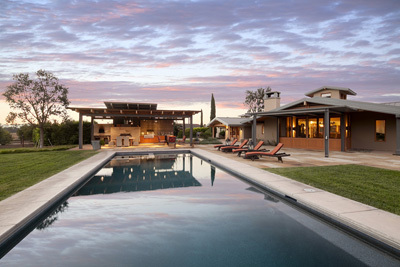 Luxury living close to all the charm of Los Olivos. 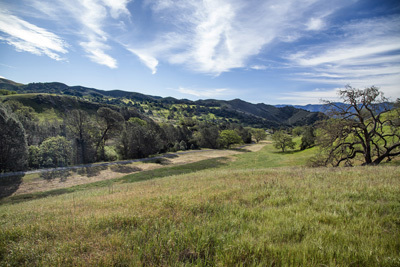 Build your dream estate on this 5.5+/- acre parcel in one of the Santa Ynez Valley’s most prized and coveted locations. A traditional manor house with well over 4000 square feet of living space on one level, plus additional footage in covered porches and a large three car garage. 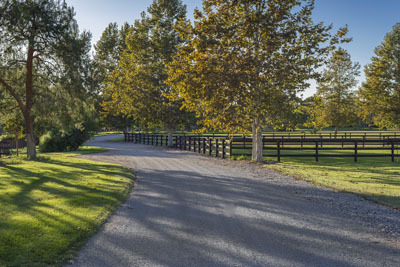 Rambling Oaks Ranch- a serene 83± acre retreat compound in the exclusive Happy Canyon area of Santa Ynez Valley uniquely surrounded by much larger acreage ranches. 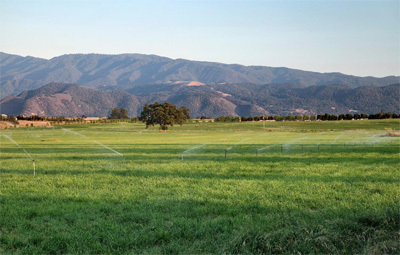 This 12+/- acre property is a private enclave built out to the highest level of quality and sophistication, located on one of the rare parcels fronting the Santa Ynez River. 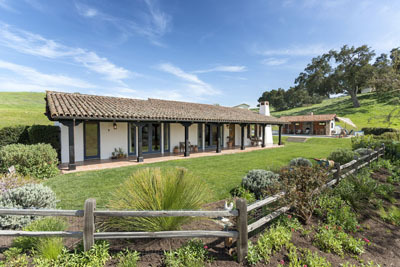 This modern, country French farmhouse graciously designed and constructed is situated on a serene and private 10-acre flat parcel just minutes from Santa Ynez. 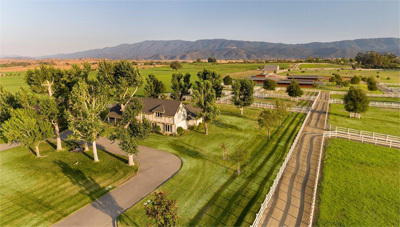 Trophy Equestrian Estate nestled in the in the heart of the serene Santa Ynez Valley. 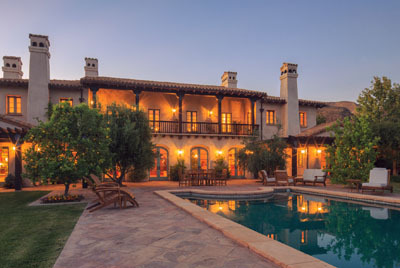 Casa de Colores presides over nearly 20 acres of natural beauty with glances of panoramic vistas. Private and lush grounds provide the setting for a sprawling, custom-built Hacienda-style main home with stunning interiors blending seamlessly with the verandas and entertainment patios. 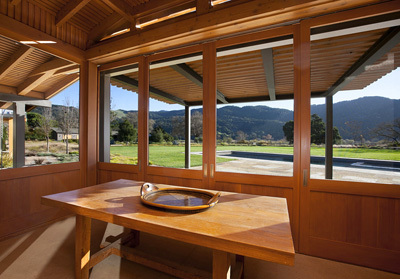 Stunning Contemporary 5,000+ square foot home atop a private Oak studded parcel. 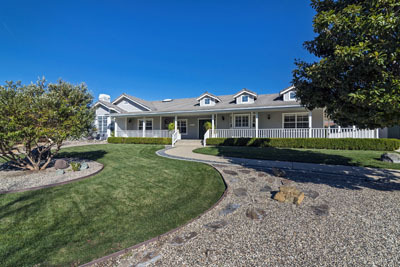 Situated in the prestigious Meadowlark Ranch is one of the Valley’s finest 5 acre estates. Re-imagined adobe with stunning contemporary remodel. Perched on 10+/- acres in the serene township of Ballard is an exquisite, Montana Ranch- style Estate with 360’ mountain views. 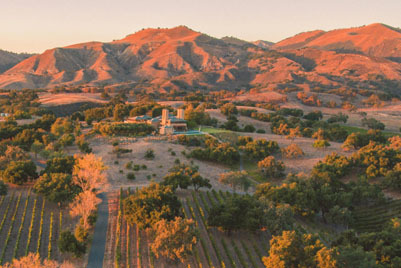 Amidst the picturesque countryside of Santa Ynez, in the idyllic setting of Los Olivos, sits this alluring 20+/-acre vineyard estate. 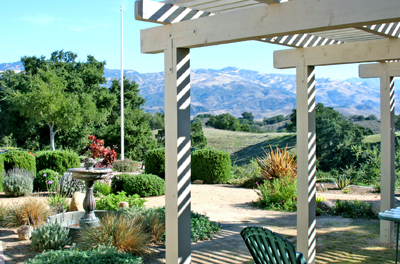 Stunning vistas from this 65+/- acre property located in the beautiful wine country of Santa Ynez Valley. Custom architecturally designed Residence, Game Lodge and Barn on 18.8± acres built with warmth and sophistication, reminiscent of an Aspen lodge. 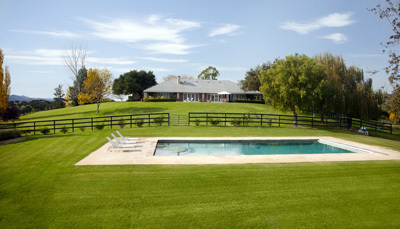 Stunning 10 +/- acre Equestrian Estate. 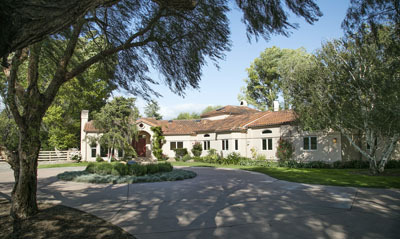 Newly renovated and beautifully designed ranch estate set on 5± immaculate acres in Rancho Estates. 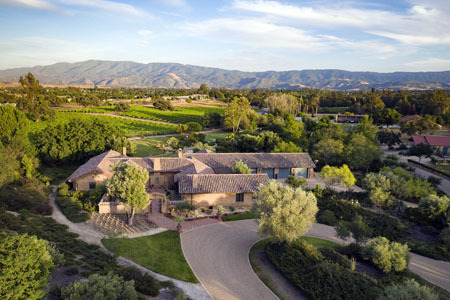 This truly special estate offers the ultimate Valley lifestyle with breathtaking views and room for a boutique vineyard or equine pursuits. Stunning luxury Farm House set atop 20 +/- oak studded acres in Woodstock Ranch. 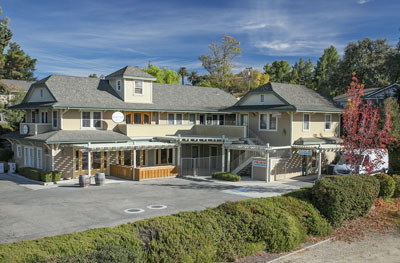 Rare commercial mixed-use building located in downtown Los Olivos, the commercial core of the Santa Barbara wine country. Casa Mon Amour artfully blends old world Hacienda with urban contemporary design. 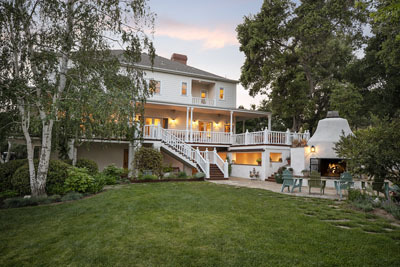 A true retreat that rests gracefully among 20± acres of majestic Oaks. 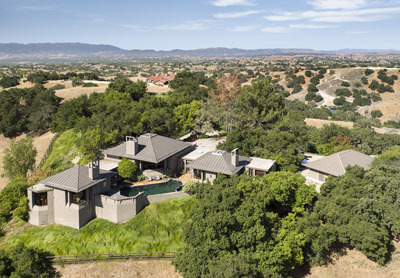 Santa Ynez Valley a custom designed residence on 21.9± acres built with warmth and sophistication using handcrafted materials and details to bring the outdoors in. 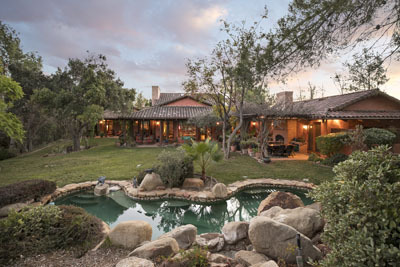 Tucked in an exclusive enclave of luxury custom estates called Hidden Hills, is a 10+/- acre retreat close to it all yet private and serene. 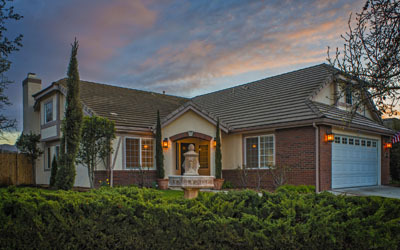 A gated ranch estate with an updated, Spanish style 4 bedroom home. 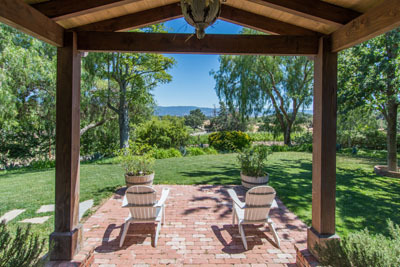 This property is situated in a secluded area of Woodstock Ranch on 18+ acres with breathtaking views of both the Figueroa and San Rafael Mountain Ranges. Beautifully remodeled single story 4 bedroom, 4 ½ bath mid-century home sits atop a private and peaceful knoll featuring stunning ocean, harbor, & city views. 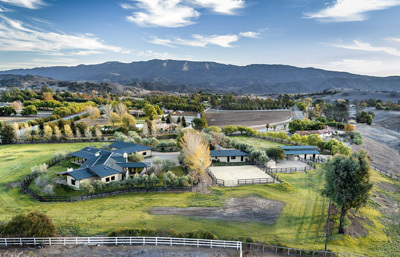 Situated in the prestigious Meadowlark Ranch is a 10± acre estate fit for car lovers, horse enthusiasts, or anyone looking for a piece of paradise! 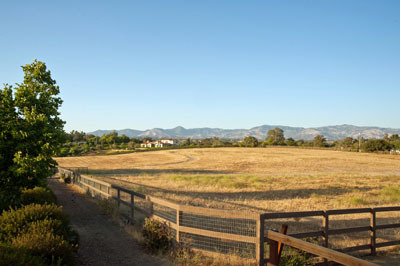 One of the original parcels sold in Rancho Ynecita. 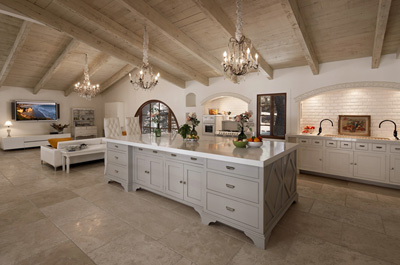 Renovated to perfection! Absolute move-in ready home on a spacious corner lot in a quiet Solvang neighborhood.